Back Office Pro (BOP) works alongside clients to provide cost-effective and efficient architectural engineering services that are key to their management approach when clients outsource architectural engineering services to BOP. 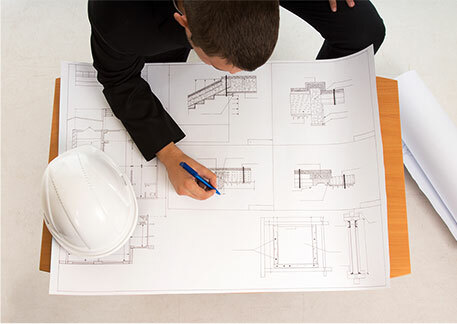 Understanding that coordinating between critical disciplines within architectural engineering projects is crucial for project success, BOP offers process optimization carried out by skilled staff with experience in supporting engineering projects right from inception to completion. BOP follows ISO processes and global project delivery frameworks to cater to the needs of a broad range of projects irrespective of project scale, scope, or cost. BOP’s efficient architects, drafters, and modelers work on various projects from various industries including Construction, Healthcare, Retail, Hospitality, Infrastructure, etc. and compliment the clients’ in-house team with mission-critical projects. From complex modeling work to implementation, BOP provides support for various activities in the time-consumingarchitectural projects while ensuring higher ROI with domain expertise, engineering support services maturity and international building standards experience. Degree in architectural technology with 3-5 years of equivalent experience in Architectural drafting and design. Strong knowledge of AutoCAD,Autodesk Revit,3ds Max, ArchiCAD, Autodesk architectural desktop, Bentley MicroStation, etc. Knowledge and experience of elementary design and its applicationto handle residential, commercial, retail, hospitality, industrial buildings, technology parks, transport centers, etc. Ability to prioritize work to meet critical deadlines. Ample project management experience to meet global project delivery processes. Easy adaptability to changing technology trends and software. 2D CAD Drafting BOP’s 2D drawings and drafting services to help in managing designs, incorporate changes based on notes, update geometric dimension, fix tolerance information, create Bill off Material (BoM), and more. Helping real estate developers, architects, engineering, and consultants, BOP helps in reducing design and drafting costs while providing highly accurate and precise drafting solutions. CAD ConversionBOP helps clients move from paper to digital formats for all their architectural drawings with efficient CAD conversion services. Offering impeccable conversion as well as digitization services, BOP ensures that drawings are easily stored, retrieved and managed without any hassle. 3D WalkthroughThe efficient drafters atBOP provide aesthetic 3D walkthroughsthat help visualize construction projects from a more realistic point of view. Be it residential, commercial, retail, or official space architectural representation BOP’s 3D architectural walkthroughs help client close deals with potential customers by providing a better appeal. Retail Space Planning BOP offers support for all drafting projects for the retail industry. By helping optimize design, the team of professional retail space planners helps save space and expenses. 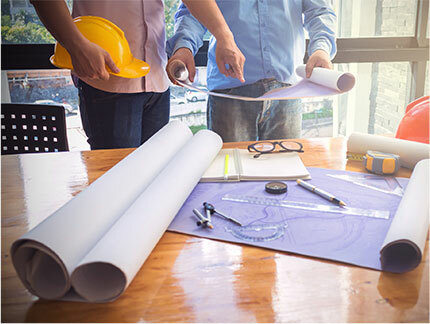 Whether it is an existing space or a new construction project, BOP’s drafters help plan the space, keeping in mind all safety standards in mind while meeting all international codes and regulations. Millwork Drawings BOP has proficiency in providing millwork shop and joinery services to help manufacturersvisualize drawings to speed up wood, metal, stone design work. The team offers .dwg, .pdf, .dxf designs with valueadds to meet client requirements. BIM Services BOP offers engineering support for a holistic approach to construction project management with niche BIM services. Working in collaboration with various design professionals, builders, contractors and architects, BOP helps clients with superior project planning and scheduling. 3D Rendering & SketchUp Modeling At BOP, a team of qualified 3D rendering and SketchUp modeling experts offer 3D models that boast of detailed and intricate design presentation with texturing and light elements. Presentation DrawingsWe offer numerous classes of architectural presentation drawings such as floor plans, interior designs and plans, site plans, and more. Architectural 3D Modeling Using our 3D modeling tools, our engineers can deliver services such as surface modeling, animation and walkthroughs, and more. Point Cloud Services BOP offers point cloud services that are extremely affordable and highly precise to meet varied construction project requirements like new buildings, retrofitting or restoration projects. Experience in various prestigious architectural projects from around the globe. Outsource Architectural Engineering Services to BOP Today! As an engineering support services provider, BOP offers decades of experience in handling complex construction projects. With expertise in providing end-to-end support services for all related fields for architectural projects BOP stands out as a qualitative service provider. Contact BOP today to learn how the team of architectural drafters and modelers can transform construction projects into digitized multifaceted work of art.